Adaptive Light Control, Ambiance Lighting, Auto-Dimming Interior & Exterior Mirrors, Cold Weather Package, Comfort Access Keyless Entry, Heated Front Seats, Heated Steering Wheel, Lighting Package, Lumbar Support, Navigation System, Nevada Leather Upholstery, Panoramic Moonroof, Park Distance Control, Power Front Seats w/Driver Seat Memory, Real Time Traffic Information, Rear-View Camera, Retractable Headlight Washers, Ultimate Package, Universal Garage-Door Opener, Voice-Command, Xenon Headlights. Advanced Real-Time Traffic Information, BMW Online & BMW Apps, Cold Weather Package, Heated Front Seats, Navigation Business, Navigation System, Remote Services. ONE-OWNER!... AWD!... NAVIGATION!... REAR VISION CAMERA SYSTEM!... POWER PANORAMIC MOONROOF!... POWER FRONT SPORT SEATS w/LUXURY HEATED SENSATEC LEATHERETTE!... HEATED STEERING WHEEL!... HI-FIDELITY PREMIUM AUDIO SYSTEM w/SIRIUS XM SATELLITE RADIO & CD PLAYER!... BMW ASSIST w/HANDS-FREE BLUETOOTH SMARTPHONE CONNECTIVITY!... POWER REAR LIFTGATE!... HOMELINK!... COMFORT ACCESS KEYLESS ENTRY!... FULLY INSPECTED AND SERVICED!... Advertised price includes applicable BMW consumer incentives. You must qualify with BMW Financial Services and lease or purchase through BMWFS to be eligible for this incentive. Incentives in addition to this amount, including BMW Customer Loyalty Incentives may be available. This offer expires 01/31/19. 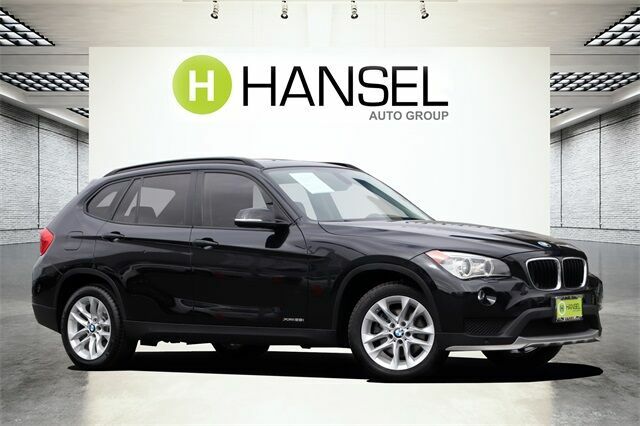 See your Hansel BMW Client Advisor or Product Genius for complete details. Previous Hansel Dealer Demonstrator vehicle.